I think it was Samsung,,,,,,,,,but not sure. It was at BJs, a COSCO wannabe. What I saw was a demo, on a loop, and the TV was not expensive. I didn't look that hard, as I'm not in the market. We have a good flat screen that was a deal at under $1000, but which would now cost about $299. It replaced a 36 in Sony CRT, which was a "deal" at under $1000 at least 15 years ago. The Sony still worked, but it costed me $25 to leave it at the transfer station. And yes, Jim, if the guy talking to me knew what he was talking about (he seemed to), it is some amazing almost real time computing............he said that the process requires a less than 1/2 second delay, and that in his opinion it built on the sound cancel tech that he had worked on at Bose, but not close enough to collect patent royalties. He didn't mention Heddi LaMarr (sp?) or Grace Hopper, but I expect that it built on their work too. It is a stove, an oven, a broiler, a steamer, a slow cooker, a deep fryer, and a pressure cooker. If you buy the fancier model, it dehydrates as well. The first thought that came to me when I first heard about it is that an appliance that has as many functions as they claimed would be as practically useless around the house as a Swiss Army Knife. Who would ever pull one out of the drawer to turn a screw, cut a steak, open a can, or uncork a bottle of wine? Recently, it's been sold out everywhere (and was being offered on E-Bay for $1,100.00! ), but I finally found mine yesterday at Wal-Mart ($189.). we did not have a pressure cooker, deep fryer, or slow cooker. Now, we do. My first use of it was as a deep fryer. I got a "restaurant result" from frozen breaded shrimp and tater tots and did so with zero mess and laughably little cleanup. I'm sure I'll "share" more later, but here is a "good 'ol boy" who loves his food toys (Green Egg, InstaPot, etc.) who has "discovered" the Ninja Foodi. Like me, he has absolutely no pecuniary interest in the thing; he just 's it. Here's a link to the videos of him using it and his other "food toys". Tomorrow, I'm going to throw a rib-eye steak into it's fry basket and see what happens. Got up early and went to Sam's to pick up the rib-eyes. I saw a 5# bag of frozen Tyson's Hot Buffalo Wings for $11.35 and snagged it along with a bag of Arby's frozen curly fries. I threw four frozen wings into to Foodi and punched "TenderCrisp" for 19:00. The result was perfect, restaurant-worthy! Hot Buffalo wings for breakfast? Ah, retirement, the land of "Why not!". I could never have gotten such a wonderful, crisp product from our fancy convection/conventional double oven. No oven preheating. No rack on baking sheet mess to clean. Didn't have to hover over them and turn. Cleanup was a wipe with a paper towel. Lunch: I loaded a seasoned 8 oz. ribeye and some frozen curly fries into the fry basket. The steak came out perfect at 10:00 and the fries came out crispy 6:00 minutes later. Cleanup was just a quick hand wash in our new farmer's sink (see post above). Trader Joe ghee. Ghee or clarified butter was in my opinion a product to make yourself, and not worth the effort. I was wrong. The TJ product stores at room temp (I didn't know that), and has a high smoke point (I did know that). I'm not into Indian food, so ghee was sort of off my radar 'til my daughter bought a jar. My favorite use is as lube in an omelette pan, because it is slippery, doesn't burn at my cooking temp, and adds a nice flavor. The TJ product is butter colored, and uniform in the jar. Another product that I looked at in another store was an unattractive gray/brown at the top of the jar, and dark brown on the bottom. Looking into this briefly I think what you saw demonstrated was software, typically on a flash drive, that converts a 1080p receiver into a 4K receiver. It does not, however, convert a 1080 signal into 4K; that would be some trick! I just purchased at Costco for (an amazing) $179 to display 4K. In fact, it has a USB slot that is most likely provided for that purpose. The problem is that 4K signals are not being broadcast. I've had a 4K TV for several years now and have yet to view 4K in my home. The only way I could do so presently is to buy a 4K Blu-Ray (my present Blu-Ray won't do) and rent a 4K DVD for $12 or buy one for $100+. I see where HBO is going to be broadcasting the new season of Game of Thrones in 4K. But, I doubt that present CATV systems can accommodate it. We'll see; I already pay those ba$tard$ $230/month (phone+net+TV+WiFi). 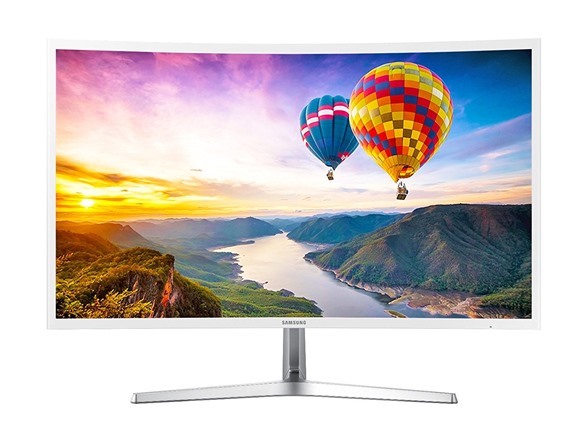 But wait … 8K is being introduced at this month's C.E.S. in Vegas! The good news is that I didn't splurge for O-LED; that's now "so yesterday"; here comes micro-LED and 'the wall'! In the meantime, my present 4K Sony 65" delivers better viewing @1080p than I thought, as recently as five years ago, I'd ever see in my lifetime. Improvements will always be welcome, but at this point they are hardly necessary. In any case, I'm sure of two things: my next TV will be bigger & better and will cost <$1,000. EDIT: I just got back from Sam's where they had a 70" Vizio UHD 4K Smart TV for $679! If you're in the market for a TV, January is always the best month to pick up a bargain as the "new stuff" hits right after CES. Yesterday I tried something that has been sitting in my freezer since buying them a month ago. At Walmart I bought a bag of frozen pancakes. In the bag were smaller bags with three, 3 inch pancakes in them. There might be a dozen bags in the bigger bag. Stack 3 in the microwave and cook for 1 minute and 15 seconds and I was totally amazed at how good they were. Better than Dinah's! I had originally purchased them as a convenience item to make a breakfast casserole which still might happen the next time my condo has a potluck brunch. They are GOOD! Will be definitely buying them again. Were these the Great Value branded buttermilk pancakes? My kids used to eat the heck out of them, and even I had them a few times. The buttermilk version was really good! If I am recalling correctly, they are made in Canada (and that's why they have less crap in them, IMO). The same ones in the box are made in Canada, too. Don't know what it is but Canadian products tend to be better quality than many American ones. Going to check right now. These are made in Arkansas. Guess it could be a Walmart owned company. 24 pancakes in the bag. They are Good! Yes, Mar-those are great! I don't like making pancakes and these are a wonderful alternative. We just had pancakes this morning from the big krusteze bag we got at Costco. Takes about two minutes to mix. Sometimes, like today, I add a little more vanilla..otherwise just water, and the family loves them. Better than many places we've had when out...and so cheep..we made about 10 today and our giant bag is still full. Our local Walmart carries these, too. We never tried them, though, as they have HFCS as the main sweetener. The Great Value branded ones use sugar, instead. They sell lots of both of them, though! OK, I haven't tried this one, yet. But I may just grab a slab next week, if my Sam's Club has them. Our bacon of choice is Wright's Hickory Smoked and it usually runs about $8 for 1.5 pounds. This is a great deal, even if I do have to slice it myself! 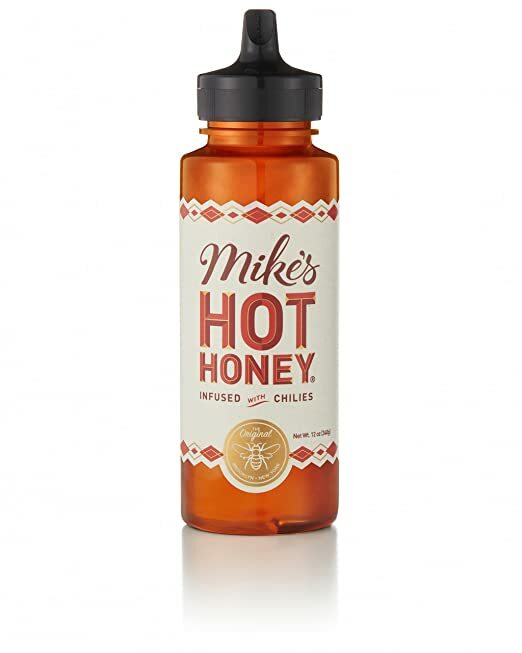 Another product I really like but use very sparingly is Mike's Hot Honey. I found it at Walmart but it's available elsewhere. A couple drops in a cup of hot, spiced tea or even coffee packs a wallop. It's not a slow burn, it hits immediately. A couple drops mixed in to jams or jellies or other honeys is good over pork. I'm finding lots of uses for it. My bottle will last years at the drip rate I use it! Interesting. Not sure I want hot sauce in my tea or coffee, but it sure as hell might add to some cooking recipes! Believe me, it's not bad that way! I also mix it into barbecue sauces, marinades and catsup! Agree with the last three uses! I can image it would be fried chicken friendly also. I see Wright products at WalMart, so I would not be surprised if they are at Sam's. Yesterday in a doctor waiting room, I saw Wright advertised in a high end magazine. I have seen, but never tried the Wright product, and had thought it was just another bacon. Not being a bacon eater, I've never tried it, though. Maybe it is higher end than I have given it credit for. If I ever have reason to buy bacon, I'll try it. Over the years I have just made the switch to Wright. They have a consistently great bacon that's sliced just right. None of that paper thin junk. They do carry them at Sam's, (in twin packs. My local Sam's still doesn't have the slab, though). It's my bacon of choice. Works well by itself and when I need a seasoning meat. Makes some tasty bacon grease, too! If you do decide to become a bacon eater Wright's would be a good choice! OK. I know there was another thread where we were talking about BBQ sauces, but I'll be darned if I can find it! 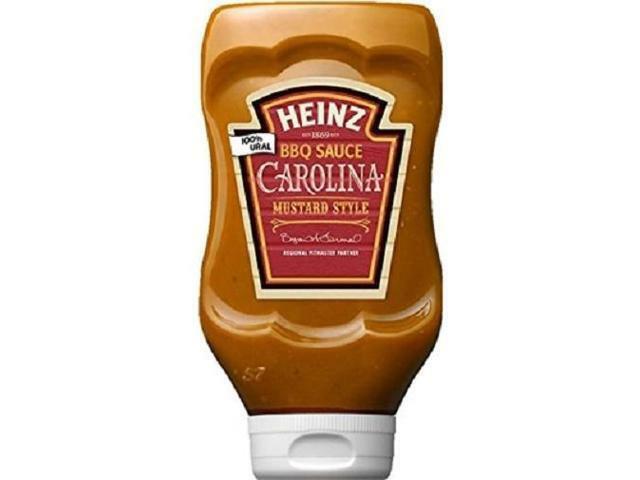 I've worked my way through the Heinz BBQ sauces now, (except the new Hawaiian) and I must say that their Carolina Mustard Sauce is absolutely killer! (The Carolina Vinegar sauce is awesome, too!) They don't have crap in them, like so many other sauces and the taste is super! This one goes with just about any pork you make. I've been using it on country style ribs in the Instant Pot and on pulled pork from my local BBQ chain joint. This stuff makes an excellent pork sauce. And it's not expensive in the least! Yep, the Carolina Mustard Style is my favorite as well. Thanks for the tp.Must give this a try. I agree. We must have 6 or 7 open sauces at any given time. All are good, but we usually throw them out as they age before they are finished. As RB says, all of the Heinz series is good (we have not seen the Hawaiian yet), but the Carolina is best. We actually finish the bottle before it is old. With grilling season back, we will be using more sauce, and I will now be looking for more sauces in the Heinz series. A "flight" (like a beer flight) of the whole series in one pack would be nice). They could put a bunch of single use 2 oz pouches in a box, and I for one would buy it. I know that Heinz is a "big" company, and I have generally tried to support small local makers, but some times the big guys get it right. A "flight" (like a beer flight) of the whole series in one pack would be nice). Just yesterday, after my post, I saw the 4 pack mentioned. I got a multi pack of larger bottles last summer, but was looking for something smaller this time around. After I work through a little more inventory, I'll buy it. Thanks!